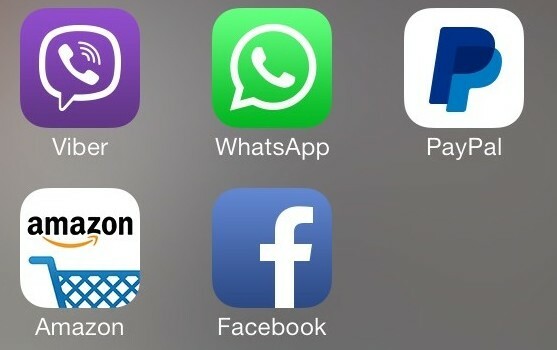 WhatsApp Versus Viber: The Payments Battle of the Future? When earlier this year Facebook purchased the messaging service app WhatsApp for USD $19 billion, some questioned the price Mark Zuckerberg was willing to pay, though few questioned the wisdom of the direction being travelled. The acquisition of WhatsApp, its advertisement-free policy and 500 million users, marked the first in a series of announcements over the course of the year that left analysts with no doubt that Facebook was gearing up to make a play into the payments space. In April, the Financial Timesreported that Facebook had made an application to the Central Bank of Ireland to operate as an e-money issuer; in June Facebook broke the news that David Marcus, the man credited with reinvigorating PayPal over the past few years, was joining them to head up its Facebook Messenger division; and finally just a few weeks ago, in his first earnings call of the year, Mark Zuckerberg admitted that Facebook was incorporating payments into its plans for the future, and the two would eventually “overlap“. Whether that future lies in some form of integration between WhatsApp or Facebook’s own Messenger, or whether the two will remain separate, remains unclear. Nevertheless, the successful integration of social media and payments (as discussed in previous Mondato Insights), has been demonstrated by the massive growth of Venmo in the US and of TenPay in China, among others. While simply incorporating payments into social media will not of itself create success (a point reiterated at the Mondato Summit Africa by Gavin Marshall of South Africa’s home-grown social network Mxit), social’s success stories have clearly shown that a large market, particularly among young consumers, exists for payment and money transfer options that are integrated into their social media experience, and by extension into their daily lives. It is perhaps slightly surprising then, that commentators and markets reacted in a generally negative fashion to the news, just five days before Facebook announced its 11-figure acquisition of WhatsApp, that Japanese e-commerce conglomerate Rakuten had snapped up the VOIP and messaging service Viber for USD $900 million. While not necessarily widely known outside of Japan, Rakuten is Japan’s largest online retailer, and has begun to grow its overseas presence through its purchase of Buy.com and Play.com (both of which are now Rakuten-branded sites). In fact, looked at from an MFS, as opposed to an e-commerce, perspective, the purchase of Viber (with a unique customer base of 300 million at the end of 2013, which Rakuten claims has grown to over 400 million by mid-2014) appears to be a very smart move for an e-commerce entity with a focus on markets in Asia, where social media adoption and usage is high and mobile and online payment options are low. Add into that mix both the relatively high numbers of significant international remittance channels and the very high volumes remitted in a number of them (e.g. into the Philippines and India, out of Singapore, and between Malaysia and Indonesia), and the potential exists to create a strong Rakuten ecosystem of international remittances, domestic P2P transfers, and e-commerce payments. Rakuten generated some excitement over the past few days when its pseudonymous Japanese bank announced the integration of a social payment function, ‘Transfer By Facebook’, into its online banking app. The concept is hardly a new one – RBC Royal Bank in Canada has offered a similar service for quite a while now – and it functions in a similar fashion to the UK’s Paym, using proxy information (whether it be a Facebook ID or mobile phone number) for the parties’ to the transactions bank account and sort code / routing numbers. What grabbed observers’ attention was not that a Japanese bank is now offering a similar service, but that Rakuten Bank, part of the same group as Viber, is now offering a P2P transfer service using Facebook, parent of WhatsApp, as the proxy. Rakuten now potentially has a sand box in which to experiment. Facebook has, of course, experimented with payments in the past, none of which was even a small success. The company intends to take its move into payments “in the long run”, Mr. Zuckerberg told reporters a few weeks ago, though the company has again begun aggressively pushing the Facebook Messenger mobile app, as anyone who has attempted to use the regular Facebook app over the past few weeks can probably attest. As other big online players attempt to consolidate their position (e.g. PayPal, owner of Venmo) or attempt to grow into the space (e.g. Amazon), Facebook probably only has one more attempt at getting its payments play right before the moment and the opportunity are gone. It also faces a challenge in developed markets whereby the demographic most likely to adopt social-mobile payments, the young, are abandoning Facebook to their parents, and migrating to other social media such as Twitter, Instagram and SnapChat. Despite the fickle preferences of North American and European youth, however, Facebook still has strong growth in many emerging markets, such as in India, where the social network now has over 100 million users, and Indonesia, where at the end of Q2 2014 it could count on 69 million active monthly users. Not entirely coincidentally these markets are also of great interest to Rakuten: at the end of June the Japanese e-commerce Titan announced its first foray into India, 12 months after it launched its online shopping site in Indonesia, following on the heels of the establishment of a presence in both Singapore and Malaysia in 2012. All three markets (plus its Spanish site) are processed from a new unified server, and according to Tech In Asia , “have already experienced a foreign exchange rate adjusted 703.1 percent increase in sales”. With large, young populations that are highly active on social media and with growing hunger (and means to pay) for online experiences and products, it is largely the same dynamics that make these markets attractive to both of these online giants and many other stakeholders in the MFS space (a theme that will be explored in greater detail at the Mondato Summit Asia in November). The presence of players such as PayPal, a strong and inclusive banking infrastructure and high penetration of payment cards all mean that developed markets may end up being slower in adopting certain MFS use cases than consumers in emerging markets. The demographic and economic profile of Emerging Asia and its young people’s unbridled enthusiasm for social media, combined with social networks’ potential to bring about incremental behavioral change (but with revolutionary effects), could well mean that it will be from this region and from among Facebook, WeChat, Alibaba or indeed Rakuten, that the champion of mobile payments emerges. And were that to happen, the $900 million paid for Viber could turn out to have been the bargain of the century.